My name is Roosevelt. I was found all alone by a kind person that brought me to M'Shoogy's. No telling how I got to be in that situation, but all is good now. Good being safe and out of harm’s way with plenty to eat, but great would be in a forever loving home. I am a low key friendly guy that would do equally well as an only cat or in a home with other cats. 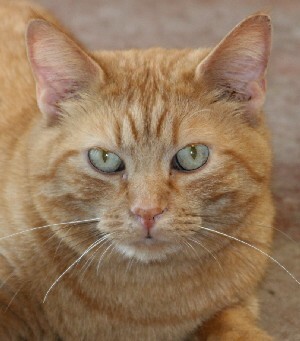 There are a few of us orange tabby kitties here right now, so be sure to ask for Roosevelt. I don't want to miss meeting you...or you meeting me.